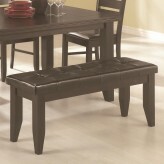 Alive with an exciting Arts & Crafts flair, the contemporarty style of Ameillia Dark Brown 48'' Bench uses smooth medium brown finish and clean line design to create an inviting atmosphere to enhance your dining experience.Chair seat and bench seat feature easy to clean dark brown bi-cast vinyl. 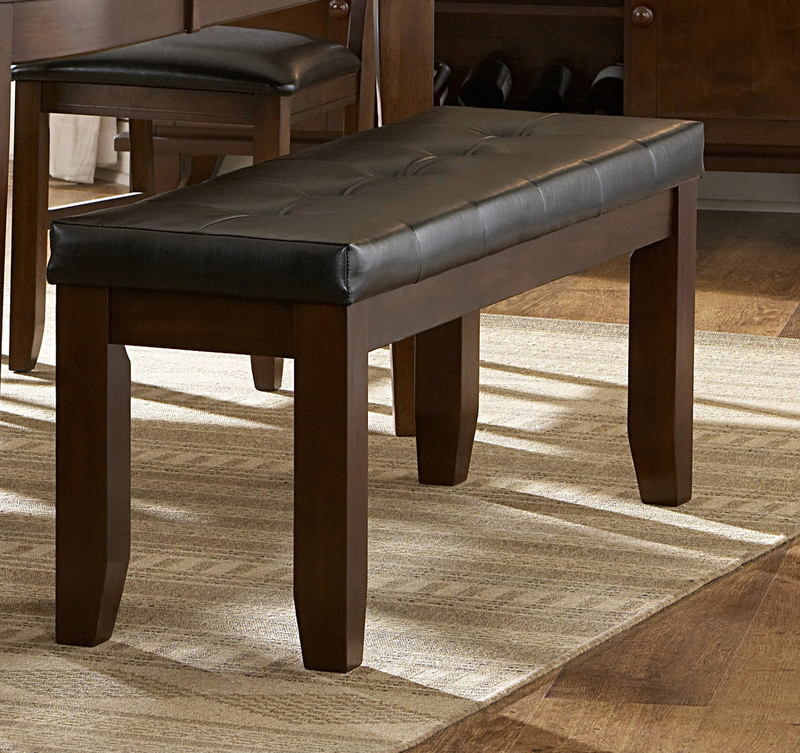 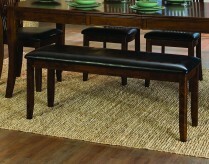 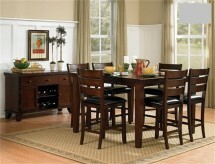 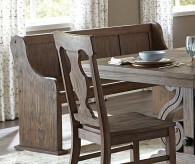 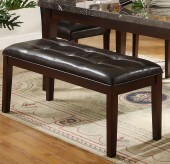 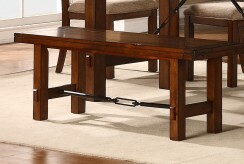 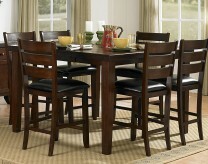 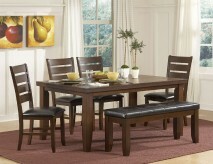 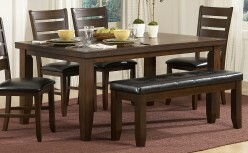 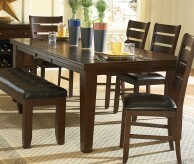 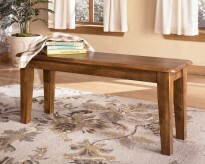 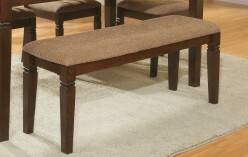 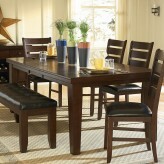 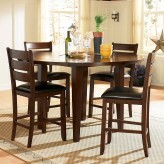 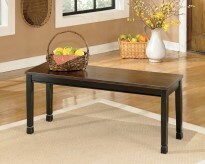 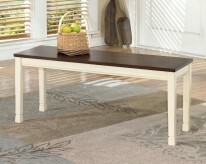 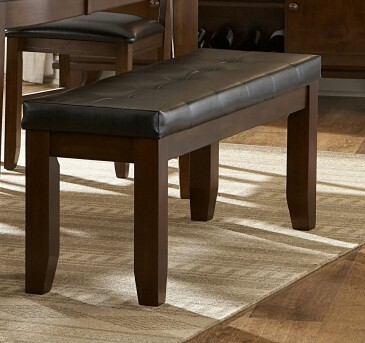 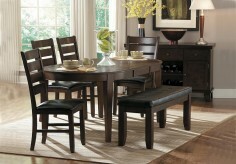 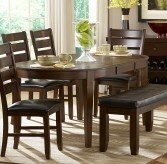 Furniture Nation is proud to offer the Ameillia Dark Brown 48'' Bench online. 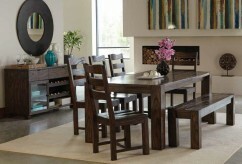 We serve customers across the DFW region including Weatherford, Dallas, Desoto and many more. 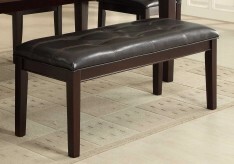 Ameillia Dark Brown 48'' Bench : L48" x D16" x H20"